Home owners all over Australia are lining up in droves for a cost-efficient way of bringing tired old bathrooms back to "new". 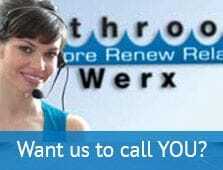 The Melbourne based Bathroom Werx group offers an internationally famous restoration process that saves up to 70% of the cost of a major bathroom renovation. Your first major saving is that you don't have to throw out your old bath, hand basin, shower base, tiles, fixtures, fittings or plumbing. You don't have to get tradespeople in to make structural changes either. Bathroom Werx's fully trained specialist technicians repair chipped enamel, remove rust and polish away ugly old water stains. Then they re-enamel your entire bathroom - in the decorator colour of your choice. Your "magically transformed" bathroom ends up looking and feeling like brand new - all without costing you the earth. And with the growing trend to preserve heritage pieces, Bathroom Werx is restoring and reconditioning "ball and claw" bathtubs with feet. More and more home owners are choosing superb restored 'colonials' or brand new Australian made cast iron bathtubs with matching basins, pedestals and accessories. 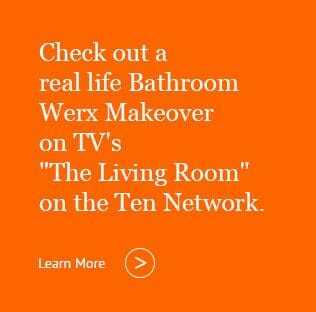 Bathroom Werx has been the industry trendsetter since the 1980's, upgrading bathrooms in top international hotels. They operate around the clock, all suburbs mobile units. It only takes one phone call to start transforming your bathroom.